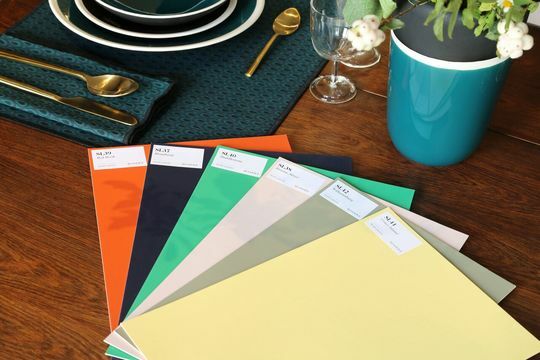 Ressource, the French sustainable painting manufacturer - labeled with the high recognition of ''Entreprise du Patrimoine Vivant'' in France - and Maison Sarah Lavoine, the icon of Parisian lifestyle, continue their partnership with the addition of six new colors inspired by the neighborhoods and boroughs of New York City. The new color series comes in addition to the existing palette of 36 colors which were created two years ago. This collaboration has been widely acclaimed as one of a kind, especially with the popular color named for the designer, the famous ''Bleu Sarah''. This signature hue, that has been used in many interior design projects, is a deep blue that varies from peacock to a profound green depending on the how the wall is lit.